Update: Lionel has passed away since this story first ran. 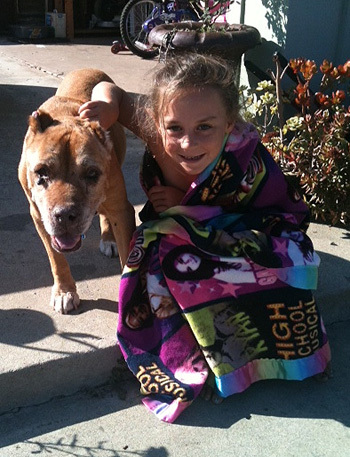 Laura Oliver has started Lionel’s Legacy, San Diego based senior dog rescue and humane education program for elementary school children, in his honor. 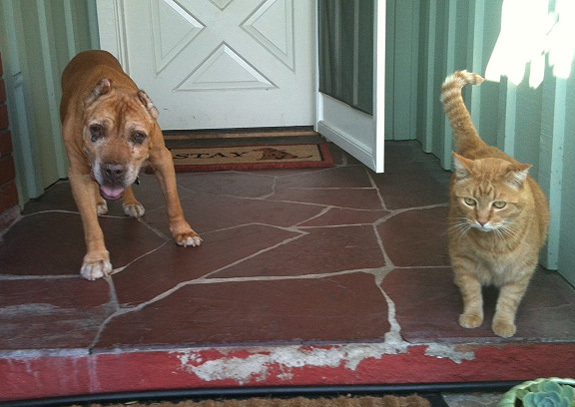 Laura writes, “In 2011 we had the pleasure of fostering our first senior who was a 15 year old pittie mix pulled from a Los Angeles shelter. We had fostered many dogs before but the one who stole our hearts was Lionel. He was in horrible shape and wasn’t given much time to live but his spirit and will amazed and inspired us all. After his passing, we soon realized the amazing gifts he shared with us and felt compelled to advocate for senior dogs in need. In the rescue world it’s an extreme gamble as adoption rates for seniors are low and medical costs often high. As a result, so many senior dogs are left behind at the shelter to live out their final days in confusion and discomfort. It is our goal to save and advocate for ONE senior furbaby at a time, and support anyone who is willing to do the same.” We know Lionel is smiling at his mom from the bridge. You can see Lionel’s Legacy on Facebook. Interested in fostering a dog but aren’t up for a rambunctious youngster? Consider fostering a senior dog like Lionel. We decided to take him in as a foster dog. He was afraid and untrusting of us at first, but soon understood we were here to love him and take care of him. I realized Sir Lionel would stick around a little when he began to eat, and eat, and eat … like a lion! In fact, when he smells someone else eating, he starts barking for their food too. When he was finally able to walk down the street, he began to pull me searching for smells and spots to mark his territory. Curious, our cat Hercules decided to join us on our daily walks. Well, they hit it off and are now the best of friends walking up and down the street together each day. Every once in a while, my two daughters will get on their scooters and join us for our walks; then Lionel gets so excited that he takes off in a sprint after them. Of course, he’s done after 100 feet or so, but he shows that he still has the will to live and thrive. Lionel is also like a cat with nine lives. We’ve only had him for a few months, but death has come knocking on his door a few times. Amazingly, out of nowhere he knocks right back and says, “Go away, I’m not done yet!” I’ve learned so much from this old guy and his will to live, his ability to trust and his desire to ignore his age. I only wish that I can live the end of my life as fiercely as he lives his. He wants his food and walks when he wants them, and keeps the rest of the pack in line. After all, he is Lionel the Lion and must maintain his order and dignity. In the rescue biz we’re constantly rescuing dogs from shelters, just like Lionel. The only difference in this case is that Lionel has truly rescued me. Absolutely beautiful! Wonderful story and even more wonderful pictures! Lionel is clearly an angel! Love, love, love Lionel!!! What a great story. I think it is wonderful that this boy is allowed to enjoy the time he has left in a loving home. Every dog deserves that dignity. @JulieMouser We agree Julie, every dog does deserve that and Laura and her family are angels for giving Lionel all that love in his twilight years. If this is not a foster failure, my mom is inquiring in Cali as to his location…no info was posted & it is not clear in this article. @BeccaPearson Thank you for your interest in Lionel. It’s the Pit k-9 rescue and all of our ador-a-bull adopt-a-bulls are located in San Diego, CA. Lionel is available for adoption, preferably to someone local as travel is very stressful for this old guy. 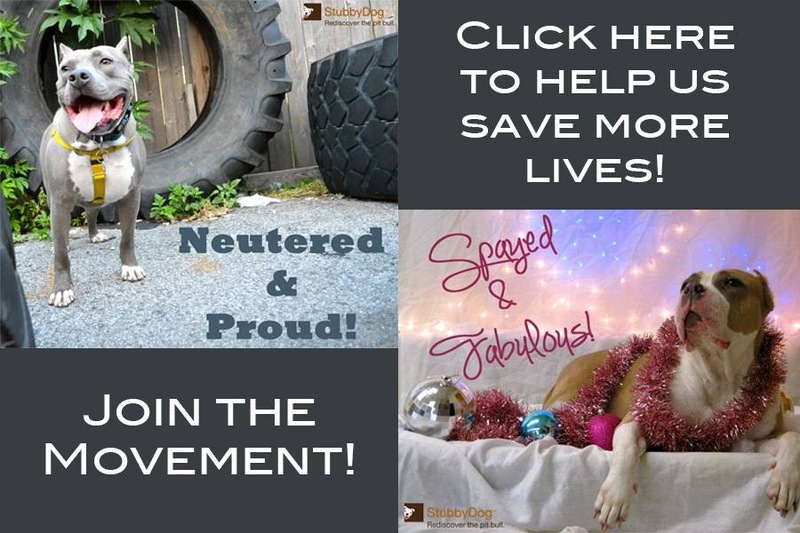 You can go to our website at http://www.itsthepits.org to fill out an application. Thank you! UPDATE: Our dear Lionel passed at the end of last year. 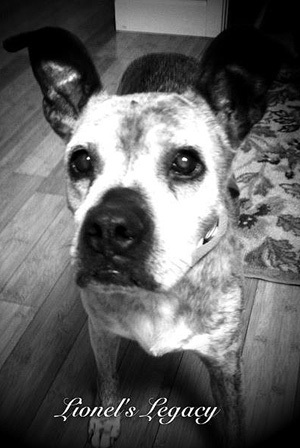 In honor of his name and his legacy I have started a senior dog rescue and humane education program. My rescue is named in honor of my sweet old man, Lionel’s Legacy. Our goal, to save ONE senior dog at a time and match him/her up with a long term senior human in need of a little companionship. Our biggest goal, to educate MANY young minds and create a legacy of compassion and advocacy through our humane education program. @LauraOliver We are so sorry for your loss Laura, words cannot express. We are comforted by the fact that Lionel knew so much love in your home. We will definitely check out your Facebook page and applaud you for doing this work in his honor. Run free sweet Lionel. @LauraOliver I am sorry to hear Lionel, the Lion Hearted, has passed. Elders are gifts and I’m glad he received the gift of love from you. He sounds like he was a character of epic proportions. And the goal of educating our young about the value of elder dogs is fantastic!! Much luck with your endeavour. Thank you so much Diana. The goal of Lionel’s Legacy is to save ONE senior dog at a time and educate MANY young minds to create a legacy of compassion and advocacy for all animals! We are in the beginning stages of our program but know that over time these children will have the ability to share what they know and put their knowledge into action! All of this came to fruition due to one amazing dog that touched our lives – Lionel. @LauraOliver I’m very sorry Laura, It’s always devastating when a loved one is lost. You two did so much for eachother though, and memories last a life time. I was shoked because of how handsome he was at his age though its amasing. I hope my pity looks that great when he’s an old man! I also wish you good luck on your education program, I will most certainly like it.